Terra Remota is a single estate covering 54 hectares, embedded in the spurs of the Albera Massif. This is a territory with a granitic soil, known as albero, which offers very interesting possibilities for viticulture, as the soil is not fertile and furthermore it facilitates good drainage. Granite is a light-coloured and therefore quite cold stone which guarantees balanced pH and acidity. 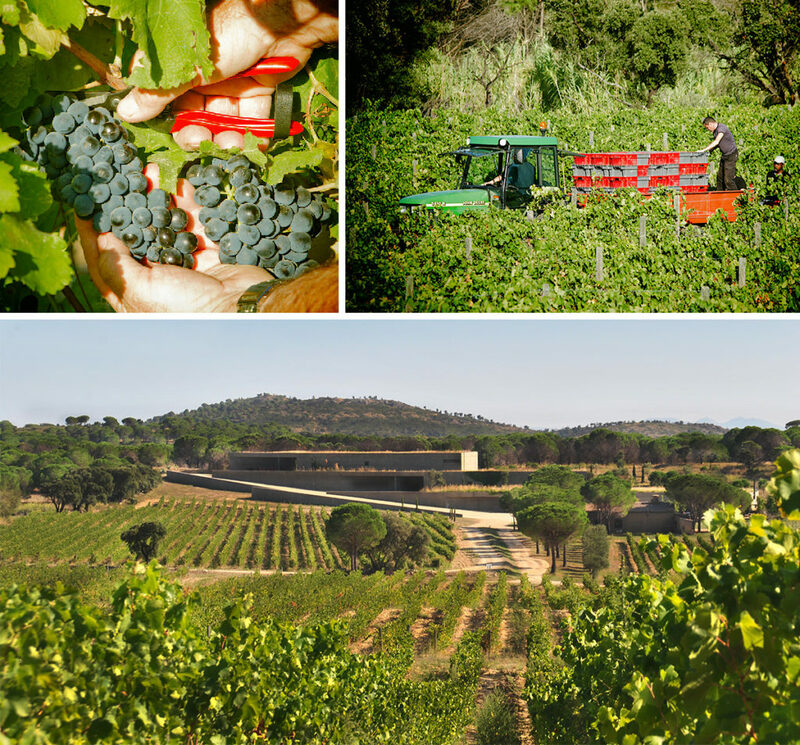 In 2003 and 2004, a total of 23 hectares were planted, following major work on the land’s subsoil, while respecting forested areas that foster the local flora (olive, oak and pine trees, lavender, thyme, etc.) and fauna, in order to maintain the environmental balance. The vineyard comprises 15 parcels, planted with low-yield clones for each variety. The philosophy has been to maintain part of the production using the typical varieties of the area. A total of 6 hectares of Garnacha Tinta and 1.5 hectares of Garnacha Blanca, along with varieties that have a long tradition in France, and have proven to adapt well in this DO, such as 6 hectares of Syrah, 6 hectares of Cabernet Sauvignon and 1 hectare of Chardonnay. In an experimental phase, a hectare of Tempranillo was also planted as was a parcel of 0.8 hectare of Chenin Blanc. In 2017, an additional 3 hectares were planted: 1 ha of white Garnacha, 1 ha. of Chenin and, as a novelty, 1 ha of Xarel·lo. Canopy management is based on row spacings of 2.25 m (between trellises) and spacings of 0.90 m between vines, which gives us a density of 4600-4800 vines/hectare. This is a high density if one bears in mind that the average in the Empordà is around 3600 vines/hectare. Production is controlled through pruning, in order to obtain a yield of one kilogram per vine. The summers are usually dry; this is a characteristic of the area (rainfall of some 600 mm/year). For this reason, the estate is equipped with a reservoir for rainwater, which is collected from the winery’s rooftops. Despite the lack of rainfall, there is sufficient water available for occasional watering, above all during the most important phases of the vegetation process. All viticultural and vinification processes are carried out within the context of the winery’s organic label, which was obtained in September 2012. Harvesting is carried out manually, with grapes collected in boxes of 10 kg. Parcels and varieties are selected, and frequently grapes of the same variety and from the same parcel are differentiated, so that they can undergo vinification separately.